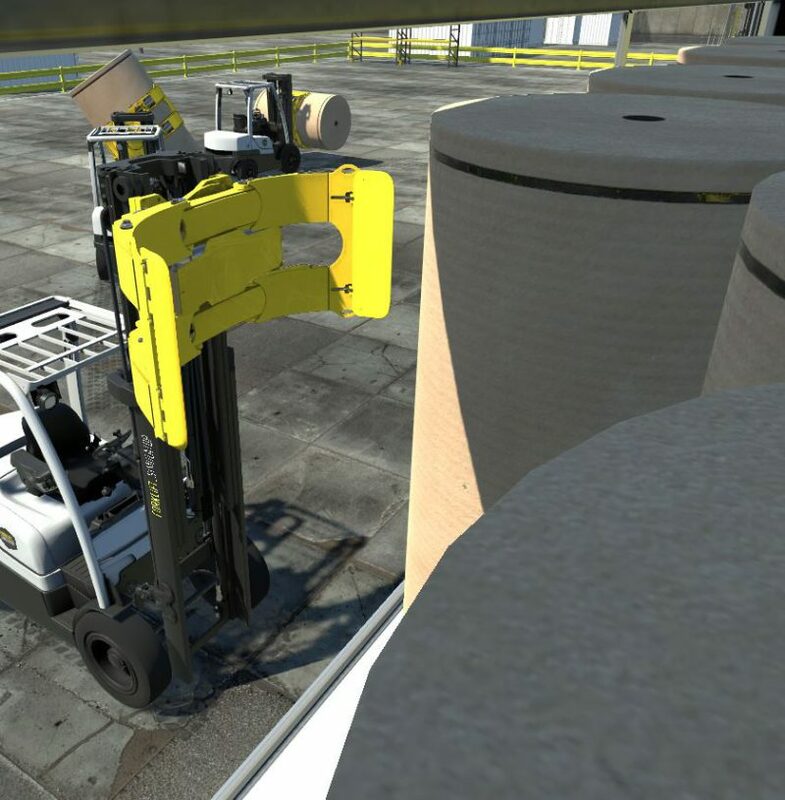 Our virtual world is painstakingly created object by object to bring you best-in-class graphics and virtual experience. You’ll swear you’re really there. 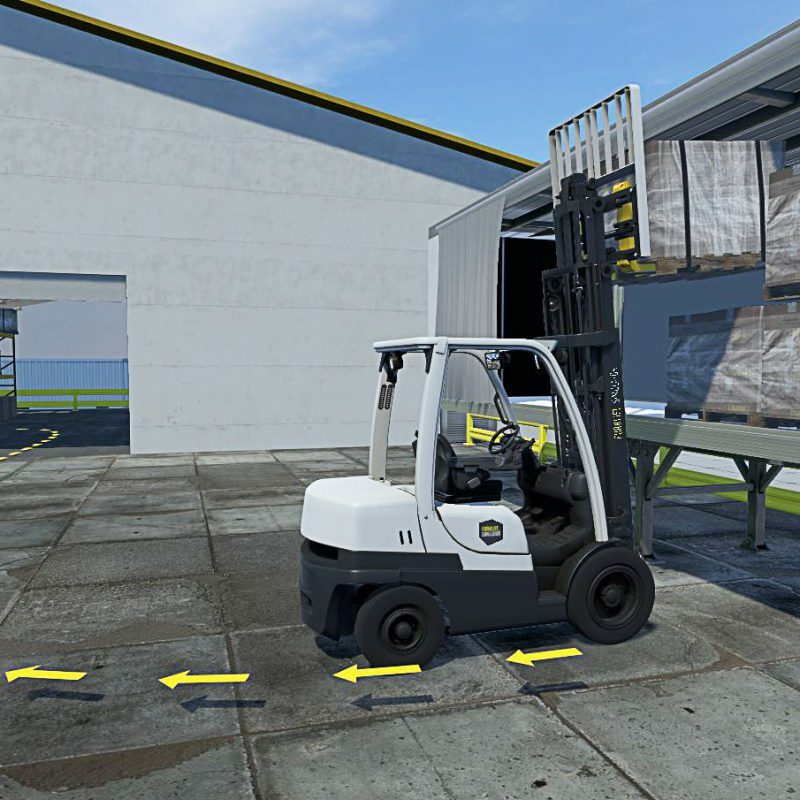 By combining exceptional quality software with genuine OEM forklift controls your operators will progress by leaps and bounds. Our Learning Management System allows you to manage your users and view their success, enabling easy validation of ROI. The new hand tracking is included with each new order. Already own a unit? Contact us to upgrade your unit to the latest hardware. Each of our simulators come standard with a default curriculum that covers basic through advanced training through real-world scenarios. We can recreate your work environment, dangerous locations, attachments, specific loads, or work process on request. This is the best way to make maximum use of your VR simulator. 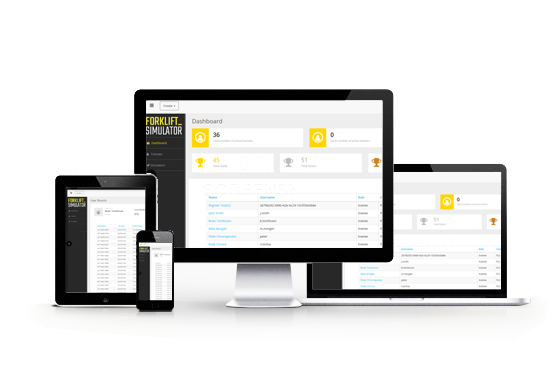 Allows you to view your operator's progress through content and understand specific areas in which they can improve.